hair extensions — parlour. cut. colour. style. hair, quality of bondings and strand types. With the innovative ergonomic bondings and various strand types and lengths, each hair creation can be customized perfectly to the clients needs. Hairdreams extensions are the ideal system for truly professional hair lengthening, thickening and creative strand effects. find out for yourself what hairdreams extensions can do for you, call to book a free consultation today! Hairdreams extensions can be used on any length of hair, and come in a variety of colours, from blonde to pink. Bundle contains 25-32 strands, that are installed individually. Each bundle takes one hour to install using a heated tool that melts a nylon polymer into the hair. This adds flexibility and protects the hair. Adding multiple bundles results in an overall fuller look to the hair, and great results can be seen with as little as 2 bundles. $200 per bundle + install costs. 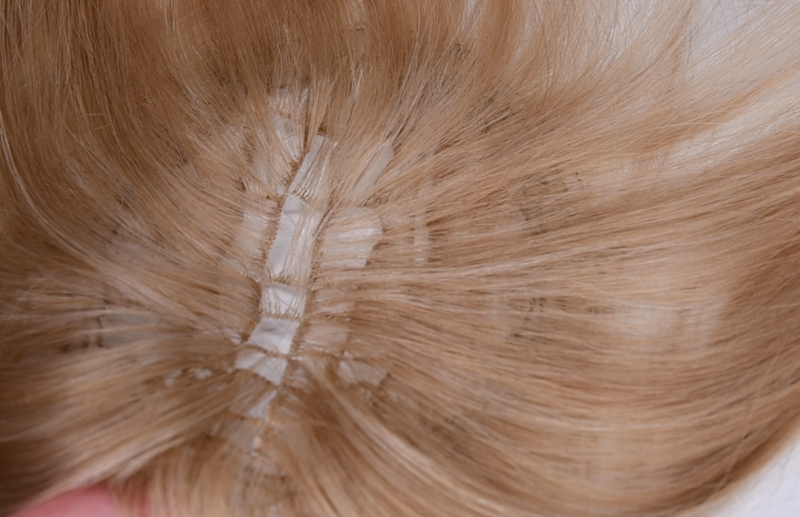 Micro-fine, virtually invisible special threads, the so-called “MicroLines”, with high-grade real hair attached to them, are worked into the client’s existing hair. The added hair matches the client’s hair in terms of color, structure and length, and thus invisibly integrates into the client’s hair. The result is an absolutely natural real head of hair, which looks just like the client’s own. 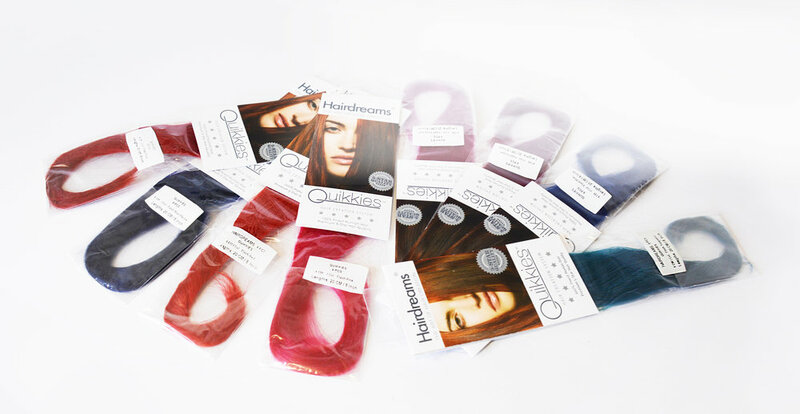 Hairdreams Quikkies are tiny, self adhesive strips that are made from an ultra-light microfiber gauze with premium human hair strands attached to each strip. It allows for fast, gentle and long-lasting integration into your own hair. They are extremely flat, flexible and durable and conform perfectly to your head. Their design allows for a natural fall of the hair for the most natural looking style. They can be applied quickly and without any additional tools.